How to rip/convert DVD to VOB on Mac? How to Convert DVD to VOB on Mac? "When you copy a full DVD to your hard drive, the contents are Audio_TS and Video_TS. In the video_ts folder you have VOB files etc including the movie, menu etc. Is there a software which will collect all the VOB files and the other ones and put them into 1 single VOB file?" As we know, video files on DVD are usually large files of 1G, which are to be compatible with the operation system. Chapters of the video are indexed by an additional .inf file rather than by the video files. So people may want to rip the chapters out with the minimum loss of quality. That is why DVD to VOB video converter comes to help. 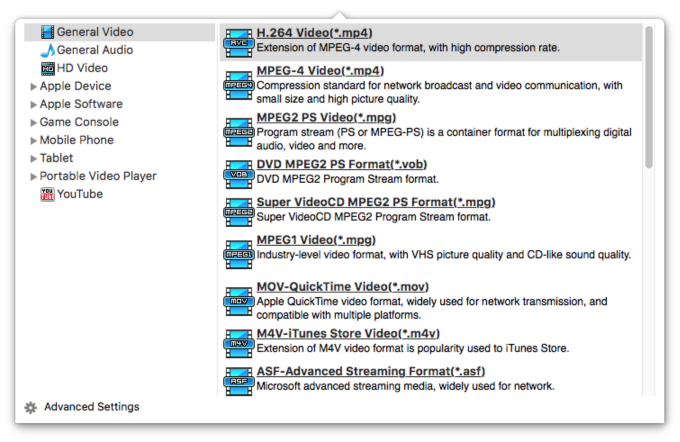 Make sure you download and install iFunia Video Converter for Mac which works as a great DVD to VOB converter for Mac. If you don't have it installed, get it now. To install it, simply mount the .dmg archive by double-clicking it, and copy the application to your applications folder (or wherever you want). Run this DVD to VOB Converter for Mac and insert DVD into your DVD-ROM. In the following main window. Click the media icon at the upper right corner of the app to open Media Browser and load your DVD. You may see the name of DVD Movie disk if you insert DVD disk before running this Mac DVD to VOB converter tool. This may take up to a minute or two depending on the contents of the DVD and the speed of your optical. With the super DVD to VOB Converter, you can crop, trim, adjust effects, or add watermarks to your DVD videos. And you even can merge your DVD (or some chapters of the DVD) with other videos into one output file to make a movie of your style! Choose VOB as the output format of the DVD videos from the "Output Format" drop down list. There are a variety of video and audio format for output. You can change the Resolution, Encoder, Bit rate and Frame rate of the AVI video and Sample Rate, Channels, Encoder and Bit Rate of the AVI Audio. Remember that the output file size mostly depends a lot on these settings. Finally, convert your DVD to VOB by hitting the conversion button. After the DVD to VOB conversion, you can freely enjoy your DVD movies as VOB files without worrying about the damage of your DVDs. Moreover, if you want to put the output file on your iPod, iPhone (iPhone 8 and iPhone X included) or other popular portable device, you can select an output format according to your device name!